The origin and reasons of developing the EC Paint® were requirements from European military units for a removable, easy applicable paint in the visual and NIR spectrum for weapons and other equipment. The EC Paint® is produced according to the European regulations for environment protection. Today, we deliver the EC Paint® in large quantities to users all over Europe. 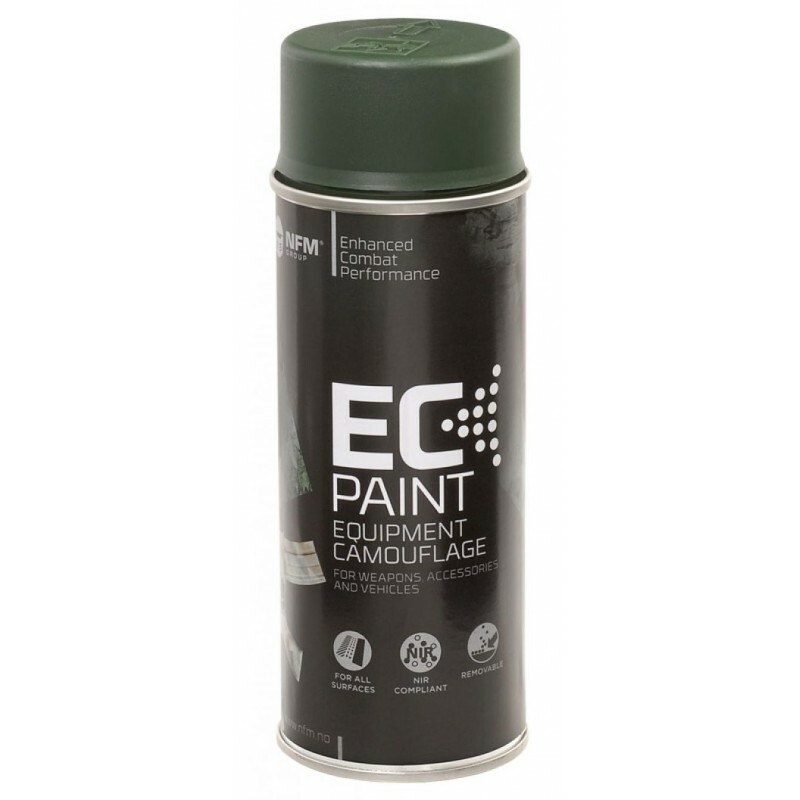 EC Paint® is manufactured in order to meet military standards for Near Infra Red reflectance needs. EC Paint® is available in cans of 400ml for personal equipment or in 5 ltr. for vehicle applications. EC Paint® is offered with a separate paint remover. Warning! Avoid applying EC-Paint Remover on plastic elements. It can cause surface damage.